David Leroy shares a guest post titled “The Ghost Named Why” at The Historical Fiction Connection — http://www.hf-connection.com/2013/01/welcoming-david-leroy-author-of-siren.html, in which he explores the spiritual journey of the protagonist of his World War II novel, The Siren of Paris. 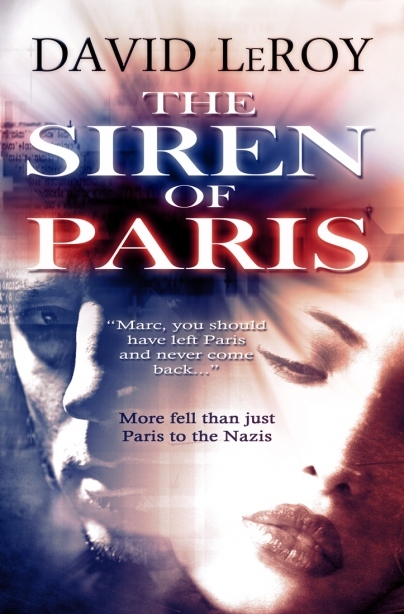 Author and blogger Pamela S. Thibodeaux shares an excerpt from The Siren of Paris, David Leroy’s novel of the French resistance in World War II — http://pamswildroseblog.blogspot.com/2013/01/vbt-david-leroy-siren-of-paris.html. Rich in historical detail and full of suspense, The Siren of Paris explores the journey of one American from medical student, to artist, to political prisoner at Buchenwald Concentration Camp during World War II. It also delves into the French resistance during the Second World War.